The Federation has spent some 226,000 KM for accommodation allowances for 13 ministers. There is no system for verifying if the money is spent on accommodation and catching misuses of the perk. Federation of Bosnia and Herzegovina (FBiH) minister Salmir Kaplan had been receiving a 600 KM a month accommodation allowance in a town where he owned an apartment. 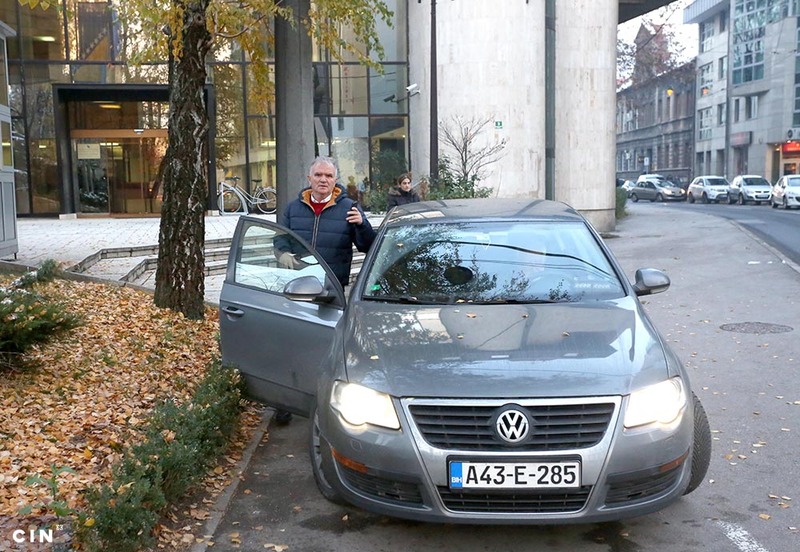 During nearly four years he received 24,900 KM from the FBiH budget. This is more than a quarter of the sum he paid for a private apartment in the Sarajevo suburb of Vogošća five years ago. Another 12 ministers claim similar accommodation allowances. In nearly four years they have collected 226,000 KM of taxpayer money. A prime minister and three ministers do not claim the allowance. According to an investigation by the Center for Investigative Reporting in Sarajevo (CIN), four ministers collect reimbursements even though they own apartments in the same towns where they work. No one has checked their property status. Kaplan was born in the Herzegovina town of Stolac. In 2000, he went to Sarajevo to study and stayed on with a job at the Oriental Institute. As a member of the Party of Democratic Action (SDA) he became an assistant to the state Minister of Civilian Affairs in 2009. At the time, the Sarajevo Cantonal Fund for Apartment Construction started building and selling apartments at favorable prices to young people under 35 with a domicile in Sarajevo. Kaplan applied for one. “I met the conditions. I had an ID here between 2004 and 2009,” Kaplan told CIN. Through the fund he bought a 58-square-meter apartment in Vogošća. The applicants were supposed to pay off their apartments in 80 months, but Kaplan paid back 95,000 KM for his apartment in 36 months. At the time, he left the position of an assistant to the state minister of civilian affairs to become an assistant to the minister of security where he made 2,400 KM a month. Soon after, Kaplan changed his domicile back to Stolac. He said that he changed his address so that he could enter 2010 General Elections as a Herzegovina candidate who lived among his constituency. Next March, Kaplan became the FBiH Minister of Culture and Sport. Five days later he was appointed a member of the commission in charge of cabinet allowances. The commission signs off on accommodation allowances, the costs of rent and living away from home. Along Kaplan, other appointees to the commission were: Internal Affairs Minister Predrag Kurteš; Minister of Environment and Tourism Branka Đurić and Milorad Bahilj, minister of trade. Damir Mašić, minister of education and science, was appointed chair, while Sanela Adžović, a clerk with the FBiH Secretariat General, was appointed secretary. The commission follows the FBiH Law on Salaries and Reimbursements in Government Agencies and Ordinance on Allowances to FBiH Cabinet Members, both adopted in 2010. The prime minister and ministers are offered accommodation allowance, while the ordinance defines the rules in detail. Ministers who reside 70 kilometers away from the town in which they work – Sarajevo or Mostar – have a right to official accommodation in a government apartment in Sarajevo. If they use one of these apartments, they are entitled to 300 KM allowance. If the minister does not want the government’s apartment, then he or she can choose where to live and is entitled to a 600 KM a month allowance. Both amounts include 1 KM allowance for living away from home. The ministers receive money directly into their private accounts. The ordinance does not call for an audit of payments. The commission member, Tourism and Environment Minister Đurić, told CIN that every minister entitled to the allowance should assume responsibility. “We receive complete paperwork. I have to take someone’s word for it when they submit the paperwork,” said Đurić. In order to receive 600 KM, a minister need only submit a domicile certificate. The commission’s secretary forwards this to other members who vote by show of hands on every application. Three of five votes suffice for an approval of the application and the chairman Mašić signs off on it. Commission members meet monthly on average. Meetings are brief and members receive 311 KM a month for their work. When his application came up for vote, Kaplan submitted his domicile certificate for a Stolac address to his peers. He did not mention his apartment in Sarajevo. His application was approved and he got 600 KM a month. At the time, Kaplan lived in a rented apartment in Grbavica which he used as advisor to the BiH minister of civil affairs at the state’s expense. After he was appointed minister of culture and sport, the FBiH took on itself to reimburse him. He could’ve moved into his apartment in Vogošća in 2010. Neighbors with whom CIN reporters talked said that he moved at the beginning of 2013. He says that it was later. “I moved in for good at the beginning of this year. Maybe I was both here and there for a few months until I have furnished it all. It was nicer for me to be in Grbavica then here. I mean, I would come too, but I’ve been using this apartment for less than a year,” said Kaplan. Asked why he signed up for the allowance considering that he has an apartment in Sarajevo, he said: “Frankly, I did not even register it. There is nothing questionable here. I can openly say it: When one lives in his apartment, it is not ethical to take the allowance. Maybe it’s a few months, so, there’s no problem to give it back,” said Kaplan. After talking with CIN reporters, Kaplan asked the commission to take away his allowance and the group approved the request. The ordinance says nothing about receiving a reimbursement when a minister has his accommodation in a town where he works. Nor is there a mandatory check of such property. No one checks if ministers really rent apartments for which they receive allowances; if they live in them or if they really live away from their homes. Commission member Đurić says that auditors should check whether money is being spent as intended. “I can’t say who owns an apartment and where. The records need to be cross-checked to see who has an apartment and where and who is using perks that don’t belong to them,” said Đurić. CIN reporters uncovered others like Kaplan who took advantage of the allowance. The commission’s chair Mašić, who is the minister of education and science; Erdal Trhulj, minister of energy, mining and industry; and Sanjin Halimović, minister of development, entrepreneurship and craft all collect accommodation allowances to stay in a town where they own apartments. The three are in charge of the ministries who are officially headquartered in Mostar, but they mainly work in offices in Sarajevo, the town where they have their own apartments. They told CIN that this is so because most of the government institutions are located in the capital and it’s here that they have most meetings. The Ordinance does not require the commission to take this fact into consideration, so they collect 600 KM a month for accommodation and utility costs. CIN reporters sought the minister Mašić’s response to this for two months. They called both his offices dozen times. According to his staff, Mašić works mainly in Sarajevo. “I spend part of the week in Sarajevo, and the other part in Mostar, depending on the obligations I have with the ministry, the government, the Parliament, as well as other meetings and obligations that I have,” Mašić wrote to CIN. He declined to meet with the reporters and insisted that he be sent their questions in writing. He never responded to questions about where he lived in Mostar during the work week, how he found the accommodation, and how much he paid for it. 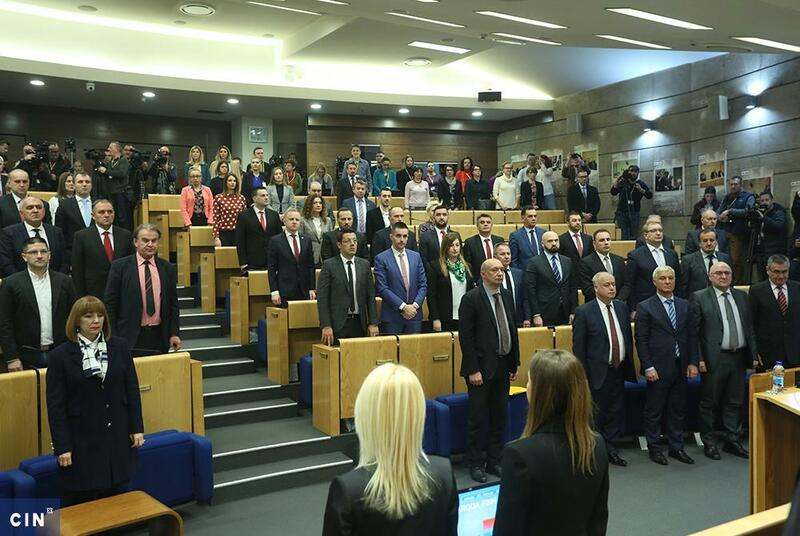 SThe headquarters of the FBiH Ministry of Energy, Mining and Industry is also located in Mostar, so minister Trhulj, who resides in Sarajevo, receives a monthly allowance of 600 KM. Like Mašić he takes advantage of a double office, so he mostly works in his own town. 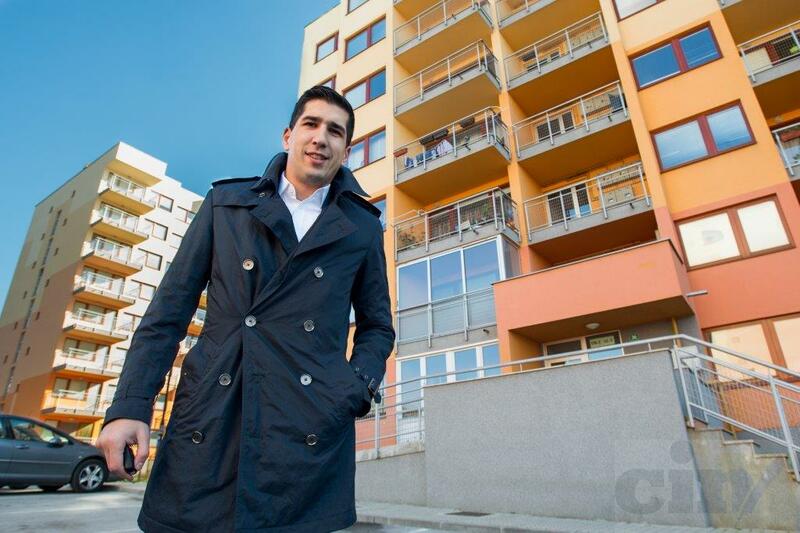 He has two apartments in Sarajevo: one he bought in 2000, while five years later his father gave him another where he lives with his family. 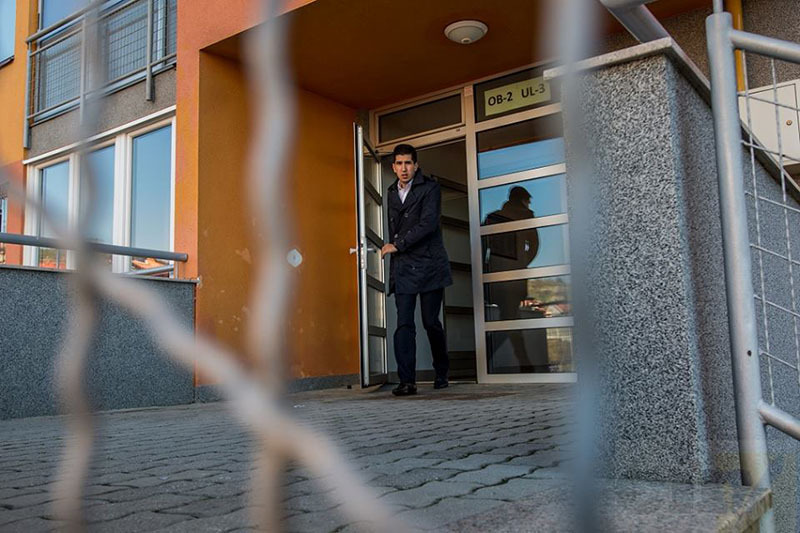 Both Mašić and Trhulj have received 600 KM allowance since April 2011, while Halimović began to receive an allowance last December when he moved from a government apartment into a private one. When Halimović was appointed minister, the commission approved a 300 KM allowance for him because he lived in a government apartment in Sarajevo. At the end of 2013, he moved into a 112-square-meter apartment in downtown Sarajevo which he bought a year earlier. He then applied for an accommodation allowance. He submitted a domicile certificate that showed he lived in Sanski Most. The commission approved the 600 KM a month allowance. “I have not given myself anything, and I have not misled anyone. So, none of the paperwork I submitted was incorrect,” Halimović told CIN. Of 17 cabinet members, only four do not claim an accommodation allowance. Interior Affairs Minister Kurteš, Trade Minister Bahilj, and Health Minister Rusmir Mesihović are not entitled to allowances because they are domiciled in the town where they work, while Prime Minister Nermin Nikšić lives in Konjicu, 50-odd kilometers away from Sarajevo. Though problems with the rules allowing for misuse of these privileges have long been known, members of the commission and the government have done nothing to change the Ordinance and the Law.